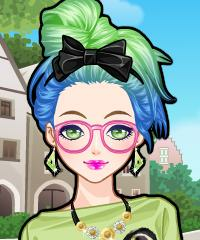 Colorful Makeover Game. All kind of bright and fun colors like pink, orange and purple. Try out all the combinations in this fun make up game.